The photo of Edward Snowden’s application for political asylum in Russia taken by Russian human rights lawyer Anatoly Kucherena. 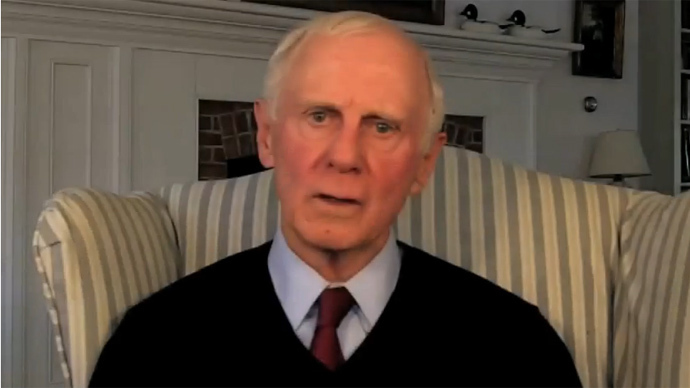 Snowden has no plans to leave Russia yet, according to the lawyer who is assisting the NSA whistleblower. 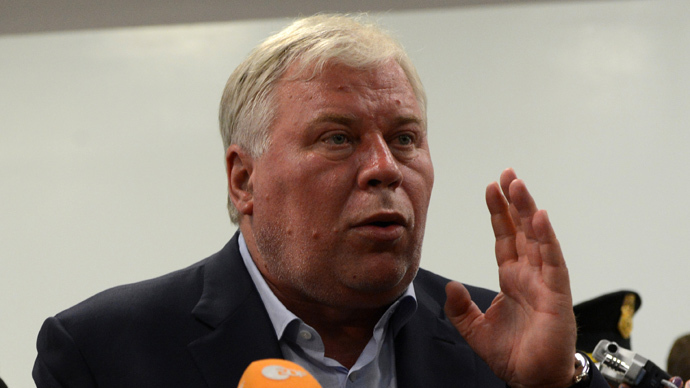 Anatoly Kucherena also said that Russia has no legal basis to hand over Snowden to the US. “Snowden says that he doesn’t want to leave Russia, at least, until he gets temporary asylum,” Kucherena noted. No official documents demanding Snowden’s extradition have been filed with Russian authorities, Kucherena continued. 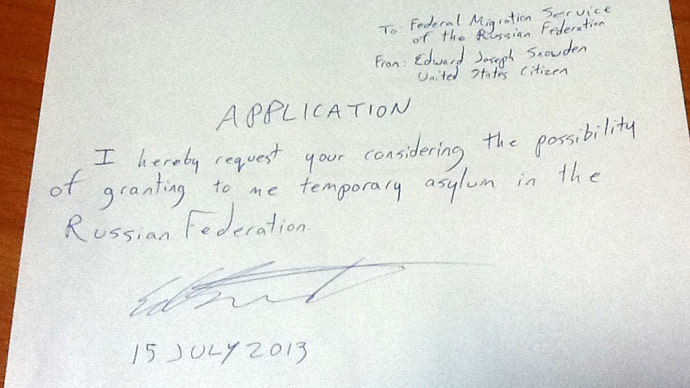 According to the lawyer, if Snowden is denied asylum, he will stay in the airport transit zone. After Snowden officially requested temporary asylum from Russia’s Federal Migration Service (FMS) on Tuesday, RT interviewed Kucherena, who is currently providing legal counsel to the former NSA contractor. 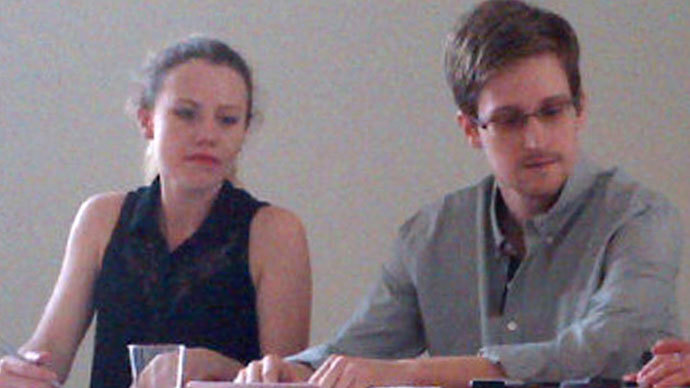 The lawyer stressed that Snowden is still concerned about his life and not sure he is safe. “He is surely concerned about what would happen to him if he was denied temporary asylum in Russia,” Kucherena underlined. “It is understandable that he is morally tired, being kept in the transit zone of Sheremetyevo Airport. I understand that being kept there is difficult. That is why he made this decision,” the lawyer said. Kucherena also explained that Snowden could leave the neutral zone of the airport only when he receives the proper documentation, which will allow him to enter Russian territory while his asylum application is being processed. Upon reception of the necessary documentation, if the FMS rules in favor of his petition, Snowden will be issued a refugee ID allowing him to remain in the Russian Federation for a year with the full rights and privileges of a Russian citizen. “He is also afraid of torture, and that he could get executed. And what he says sounds quite convincing, because the US still administers capital punishment and torture,” Kucherena stressed. In response to an FMS query, the whistleblower replied that he had never witnessed the US government go to such lengths to persecute another individual. 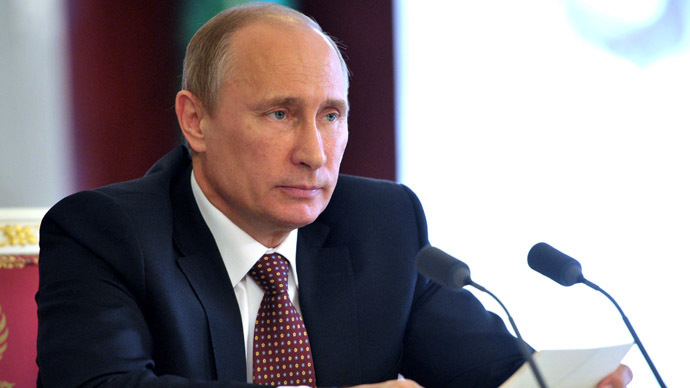 Russia's President Putin reiterated Edward Snowden was aware Moscow would not tolerate any activity aimed at the US. The Russian president has also said relations between states are more important than the intelligence service squabbles, especially regarding the Snowden affair. Having been stripped of his US passport, Snowden has been living in the transit zone of Moscow’s Sheremetyevo Airport since June 23 after arriving from Hong Kong.